PREDATORS, Ogden Mt. 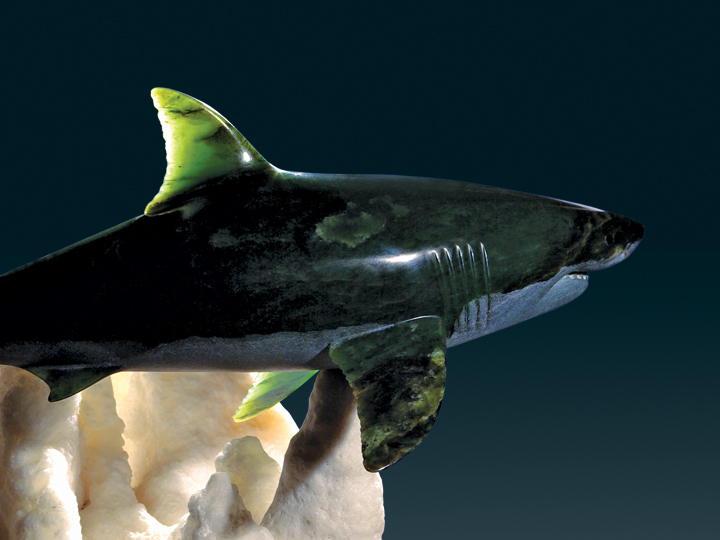 jade, on Calcite stalagmite. 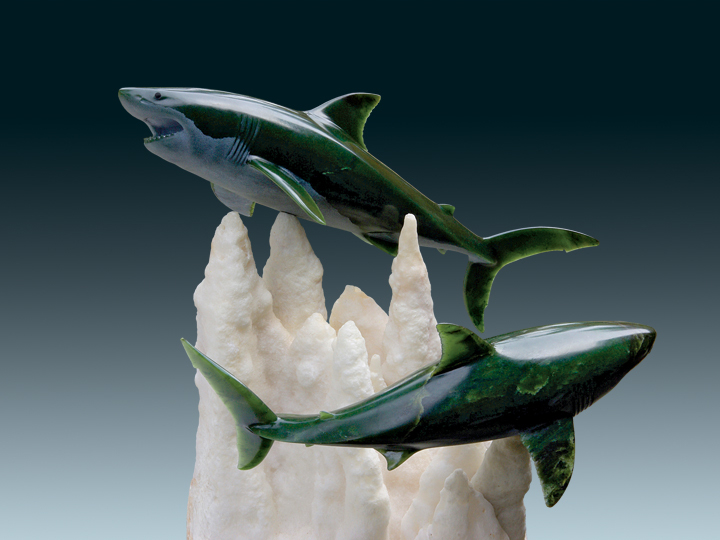 Originally the composition consisted of a single Great White 15" long, but a second 19" shark of the same jade was added on the collector's request who owns the sculpture. 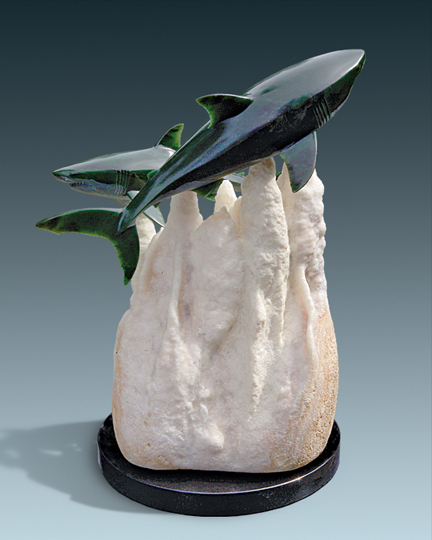 Now they share a clear view of the Monterey Bay, CA, a natural habitat for Great Whites, 21" high overall.